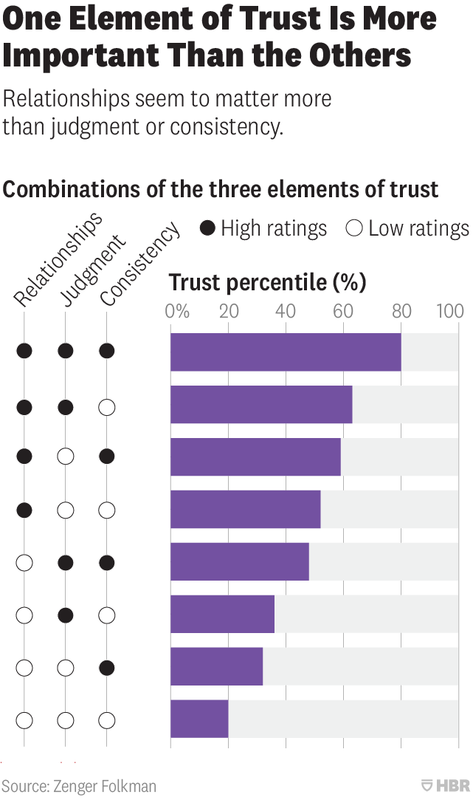 We compared high scores (above 60th percentile) and low scores (below the 40thpercentile) to examine the impact these had on the three elements that enabled trust. Note that these levels are not extremely high or low. Basically, they are 10 percentile points above and below the norm. This is important because it means that being just above average on these skills can have a profound positive effect and, conversely, just being below average can destroy trust.